The Spanish defender and the captain of Real Madrid F.C. 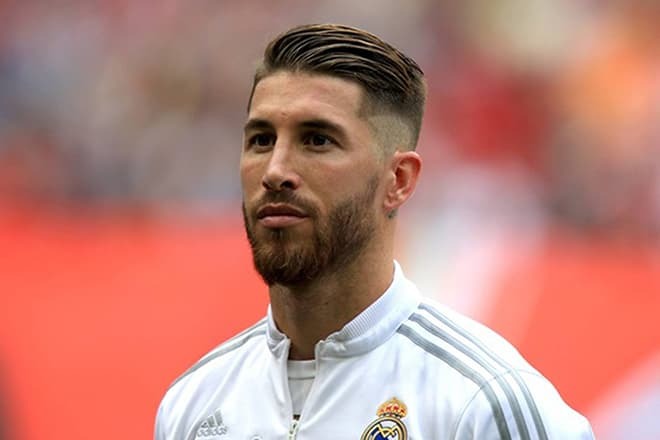 Sergio Ramos is often put in one row with the immemorial rivals - Lionel Messi and Cristiano Ronaldo who during their lifetime have become the legends of the world football. The player who twice became the champion of Europe and once was recognized as the world champion has participated in 720 matches and has scored 81 goals during his professional career. Sergio Ramos García was born on the 30th of March, 1986 in the southwest of Spain in the city of Camas located in the province of Seville. The father of the future sportsman worked as a manager, and his mother was an ordinary housewife who in the absence of her husband was engaged in education and upbringing of the children (except Sergio, his elder brother Rene and his sister Miriam grew in their family). It is known to very few people, but on his left hand, the defender has a tattoo with the initials of his parents and also with the first letters of his brother and sister’s names. In his youth, the head of the family played in the main body of the local Seville football team, but because of the knee injury, the man left his dream to turn this hobby into his career. When his younger son began to be interested in football, his father, despite financial difficulties, helped his beloved 12-year-old child to become a part of Alevin F.C. From this point the boy began to get involved in this hobby fully. From the biography of the sportsman, it is known that after concluding the contract with Seville in 2004 the future world champion and champion of Europe left school because he lacked time for studies. Sergio received the cherished certificate about his secondary education when he passed the last examinations in Biology and Ecology in 2014. Having received an honored place in the primary team of Sevilla F.C. in 2004, Sergio became one of the most efficient players in the team. For the season of 2004-2005 Garcia had played thirty-one matches and reached the UEFA Cup semi-final. Garcia Ramos's career was also rather successful at the international level. In 2005 the promising football player was accepted to the youth national team of Spain. Sergio Ramos in Real Madrid F.C. After that, there was a real fight between the leading European clubs for the player of the central defense. Liverpool, Manchester United, Real Madrid and Juventus tried to get him as their player in summer of 2005. In the final hours of the transfer period, Ramos was purchased by Real Madrid Club for €27 million. In the new football club, Sergio netted his first goal in December 2005 during the match of the Champions League at the Greek F.C. - Olympiakos. This goal hadn't especially helped Ramos's team – finally, Real Madrid had lost with the score 3:2. Despite the defeat, according to the results of the season of 2005-2006 Sergio was given the rank of the best defender of Spanish League Championship. In 2011 the sportsman prolonged the contract with the Real Madrid F.C. At the same time his salary increased by €4,5 million. In the next season, Ramos had played fifty-one matches, at the same time having the major goals. With the help of Sergio Ramos, the team had reached UEFA Champions League final with the score 0:4. And in the final in the match with Atlético Madrid the football player saved his team from the defeat on the 93rd minute, having scored the goal with a blow of his head. In 2015 the royal club prolonged the contract with Sergio till 2020. The same year Iker Casillas left Real Madrid F.C., and Ramos took the place of the captain. In 2016 the football player became the author of the goal which saved Real Madrid from the defeat in the match against Barcelona (1:1). Also on his account he has goals in all important matches of the last years: 2 goals in the Champions League semi-final (2013-2014), a goal in the World Cup final among the football clubs (2014), a goal in the Champions League final (2015-2016), a goal in the match of UEFA Super Cup (2016). Sergio Ramos at the match against Barcelona F.C. In August 2017 the forward of Barcelona F.C. Lionel Messi offended the defender of Real Madrid – Sergio Ramos during the match for the Super Cup of Spain in response to his provocation. In the middle of the second half, Messi was going to execute the penalty kick, but the captain of Real Madrid didn't begin to pass the ball to the forward and threw it over the head of the Argentinean. In reply, Messi had spoken badly of the defender. 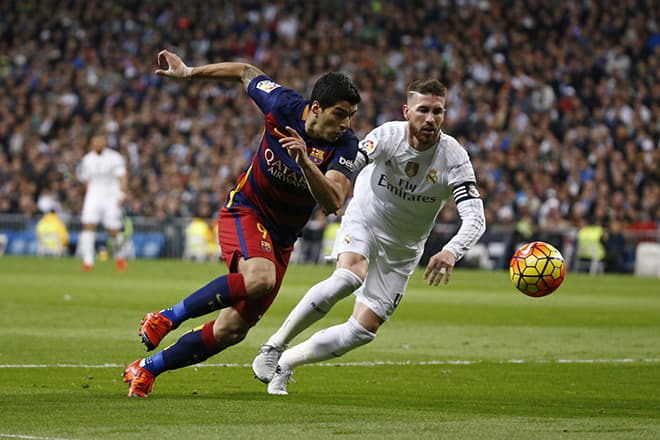 It should be noted that Sergio Ramos had already had conflicts with the players of Barcelona F.C. In 2012 Sergio was given a red card for the fact that he had openly provoked Carles Puyol for a fight. 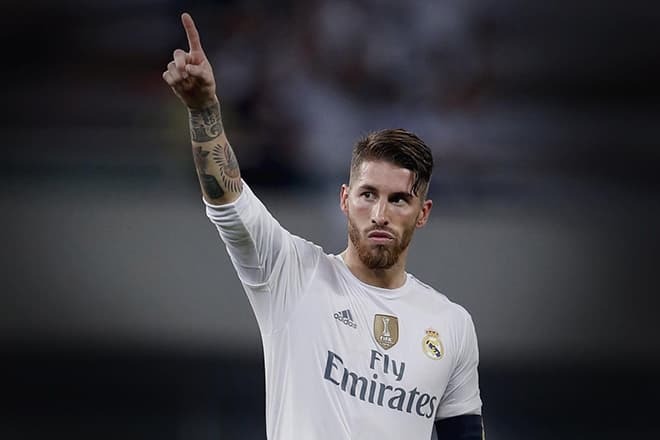 There were always lots of rumors about the personal life of the captain of Real Madrid F.C.At the definite period of time when the self-admiration during the matches was rather traditional for the footballers there appeared rumors that Ramos preferred guys to girls. However, these speculations made by malevolent people were groundless. It is authentically known that at different times the football player of Real Madrid had relations with "Ms.Spain-2006" Elisabeth Reyes, the top model Carolina Martinez and the actress Blanca Romero. At the same time in his interviews with the members of mass media, the young man said more than once that he liked the actresses and models only for their appearance and that he didn’t intend to have serious relations with the girl from the show business. In 2010 the list of love affairs of the defender was replenished with one of the most gorgeous and bright girls on the Spanish TV, the TV host of "La Sexta" and "Marca" channels - Lara Alvarez. The first meeting of the young people took place at the charitable evening of "Alma Foundation". The charming brunette who asked the eminent football player to present her as a memory of the uniform with the symbolics of his club initiated this acquaintance. Despite the rapid development of this love affair of Sergio and Lara, their relationship wasn’t ideal. Brought up according to the Andalusian traditions of the domestic tyranny, the sportsman began to insist that his darling had to leave her work and from the girl who continually appeared on the pages of glossy printing editions she should turn into the housewife who was obediently waiting for her beloved man at home. The beautiful young woman didn’t like such visions of their future. The ambitious young lady didn't wish to change herself for Ramos, and Sergio, in his turn, didn't want to make up with the fact that the lady of his heart often took part in frank photoshoots. As a result, both of them had come to a conclusion that it was better for them to break up. Then they tried to reunite in July 2012 but this had finished with a final parting. Still, before leaving Alvarez, the football player had got acquainted with the journalist Pilar Rubio. Later, the defender admitted that at the first meeting there had been a connection between him and the journalist. The lovers decided not to keep their relations in secret and since September 2012 they began to post their pictures in embraces of each other in the social networks. In November 2013 the couple shared with their subscribers their joyful news that in few months they would become parents. In 2014 Rubio gave birth to their son. 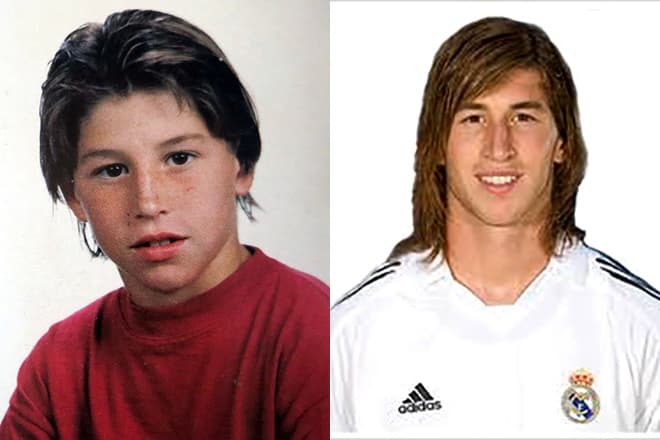 The boy was called Sergio Ramos Rubio Jr. In one year and a half, their next successor – Marco (on the 15th of November, 2015) was born. It should be noted, that the defender of Real Madrid F.C. is not married at present time. Sergio and his beloved woman don't hurry to get married. According to the words of the TV host who had celebrated her 39th birthday in March of this year, they together with Sergio Ramos just don’t have enough time to think about the wedding: he spends all his time at the matches, and she constantly spends her time with the children and at the shootings. In August of 2017, the captain of Real Madrid attended the annual festival "The UEFA Awards". During this event which was taking place in Monaco, Sergio received the awards as "The best defender of the Champions League". The colleagues of Ramos on the team – Cristiano Ronaldo and Luka Modrić – also received the trophies. On the 1st of September there took place the traditional pre-match press conference at which the eminent football player shared with the audience his expectations towards the match of the qualifying tournament of the World Cup of 2018 Spain-Italy which was held on the 2nd of September. Also, Sergio said that the world championship in Russia won't become the last for him. In spite of the fact that now the two-time champion of Europe is fully engaged in the preparations for the forthcoming football oppositions, Ramos also doesn't forget about his admirers: the defender who is 183 cm high and weighs 75 kilos regularly posts photos from his training and video cuts with his rest on Twitter and on Instagram.